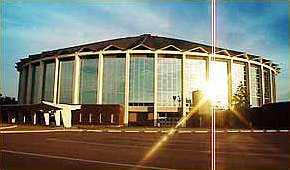 Located near downtown Jackson, the Coliseum has hosted major conventions, trade and public shows, balls, banquets, circuses, rodeos, livestock shows, basketball games and ice shows. You’ll find the Coliseum most attractive to make your next event the best ever. The coliseum is a NO SMOKING FACILITY. For a detailed view of the various seating arrangements available, follow the links below.